The Montessori education approach is designed to inspire children’s deep love of learning that they carry with them throughout their lives. 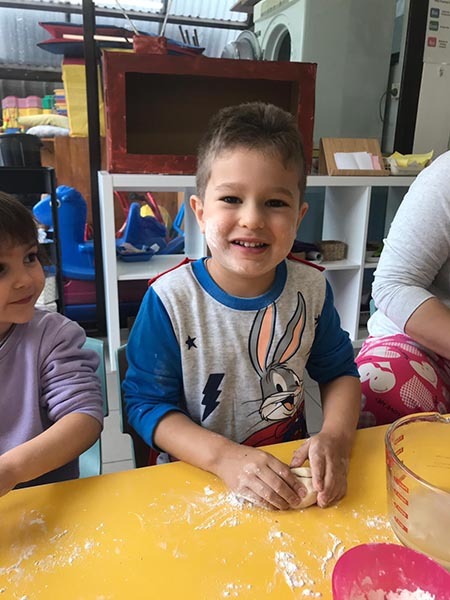 Montessori follows children’s natural developmental trajectory, with child-led activities to facilitate curiousity, courage, and the joy of discovery. Taking a holistic approach to human development, Montessori education sees schooling as an ‘aid to life’. Children educated in Montessori preschools, day care and school tend to be independent, confident, responsible and sensitive to the needs of others, the community and the environment. Montessori was founded by Italian physician, educator, and innovator Dr Maria Montessori, who set up the first Montessori school, the Casa dei Bambini, or Children’s House, in Rome in 1907. Dr Maria developed her unique method of child education over a 50-year period, through intense scientific observation of children from many ethnic, cultural and socio-economic backgrounds from birth and beyond. 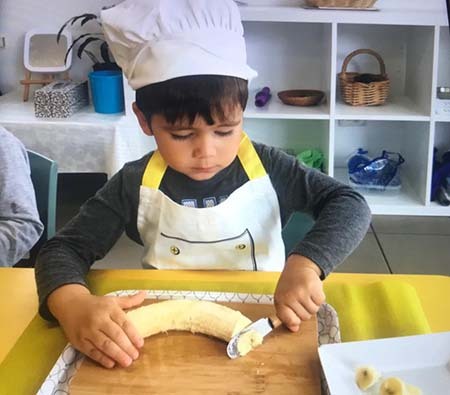 Montessori classrooms are designed to inspire children’s natural tendencies to explore and work by providing opportunities to engage in purposeful activities, with the guidance of a trained Montessori educator. Children progress at their own pace in line with their capabilities and interests, developing focus and self-discipline. Montessori classrooms are child-focused, with child-sized furniture, tools, utensils, and materials. Pictures on walls are eye-level to the children and each classroom is organised to present the sequence of learning materials on shelves in such a way that it is obvious to the children what to choose to do, facilitating independent decision-making. Montessori childcare and schools are designed to be diverse – with mixed ages together and intellects, and a diverse curriculum. Younger Montessori children learn through observing their older classmates, and encouraged by Montessori educators, while older children benefit from requests by their younger peers for support and involvement. Diversity is increasingly recognised in academic research as essential for progress and better outcomes, not only in education, but also in the workplace. Standardisation and segregation are big hindrances in academic achievement, and the diversity of ethnic, religious, and socio-economic backgrounds in Montessori classrooms is celebrated and encouraged. Montessori education facilitates social development, empathy, compassion, kindness and emotional intelligence. Children learn from each other as well as fostering a deep respect for how much each of us has to offer our world. 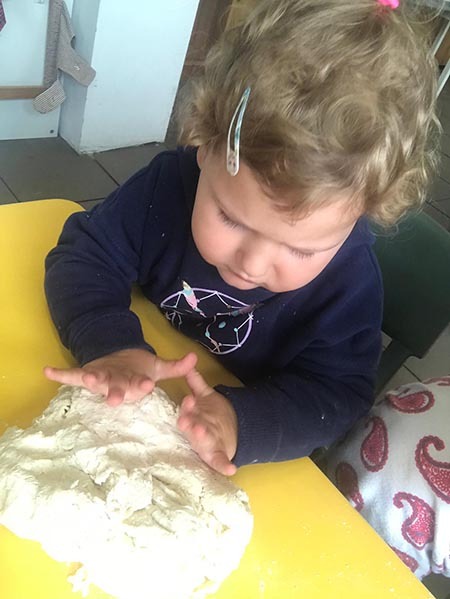 Montessori children have opportunities every day to choose their work tasks and can repeat these as much as they wish, until the skills are mastered and curiousity sated. This naturally encourages independence, focus and concentration as they work without interruption. Maria Montessori’s ability to cultivate this concentration in young children is one of her most significant contributions to education. The Montessori difference extends to the sounds of the classroom environment, where the teacher’s voice is seldom heard, as she or he frequently sits beside a child as he or she learns. Montessori educators apply an intelligent, intuitive style of leadership to facilitate a creative, adaptable, active and peaceful environment. Nationally and internationally accredited Montessori teacher training courses are intense and demanding, ensuring that Montessori teachers are skilled in the practice of observation and comfortable with child-led, independent, purposeful activity. A Montessori classroom is a peaceful oasis, remarkably quiet, and filled with fresh, natural beauty foraged from nearby environments. Quality experiences are facilitated by this focus on beautiful environments, to encourage lasting early memories of calm, warm and familiarity. Visits to our Matraville and Maroubra Montessori classrooms are encouraged! Many visitors remark on the quietness and order of the classroom, particularly as they may be accustomed to teacher-directed education, with bells, prompts by teachers, intercom, television or video instruction. While Montessori teachers periodically gather the class for special events, singing, or shared story, the teachers’ voices don’t direct the children throughout the day. Classrooms are often humming with quiet activity of child focused on individual exercises and work, or small groups talking together about their subjects of interest. Montessori students tend to grow into confident individuals with emotional intelligence, empathy, and a deep joy and love for learning. Their self-insight into their interests and strengths naturally lead them to make bold life decisions as they pursue their talents and passions. Because the experience of working in an inclusive, diverse, child-led community helps children understand the balance of independent work and communal work, between inner imagination and social outreach. Our children can work toward a goal, know how to persevere when challenged, and how to connect in meaningful ways to other people. Why Montessori? This is not about a single child, childcare centre, preschool or school, but a worldwide community of people who help each other become the best version of themselves, to have a lasting and loving difference to our planet.